Without a doubt, the most intimidating aspect of sourdough baking is understanding its key element: the starter. 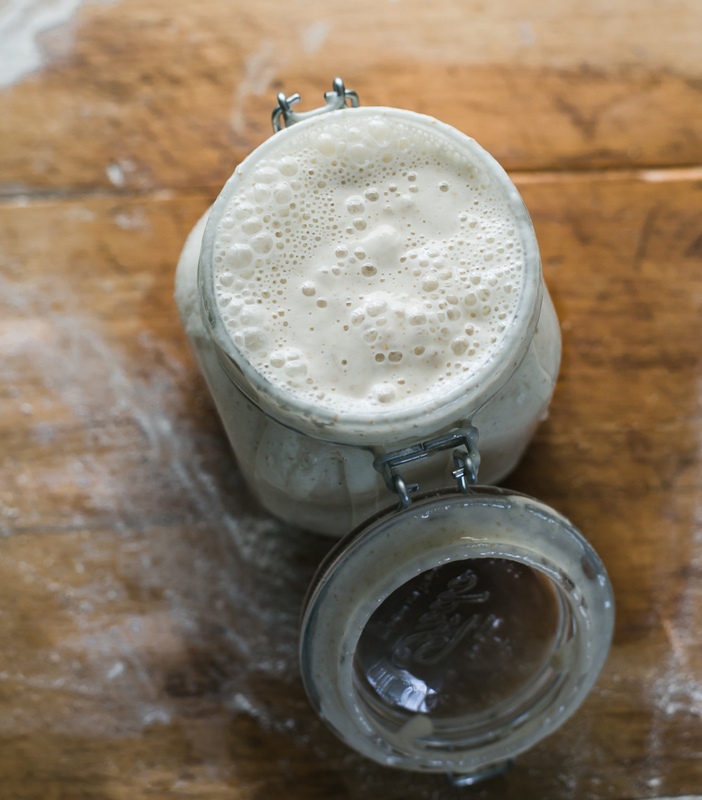 What is a sourdough starter you ask? Simply put: a starter is a live fermented culture of flour and water. Once it becomes bubbly and active a small portion is used to make your bread dough rise- no commercial yeast is required. It’s a technique that can be traced back thousands of years when instant yeast was not yet available to bakers. Doesn’t sound too scary, right? A starter is not just this “thing” you create and walk away from forever. It must be kept alive and well with additional feedings (flour and water) to keep it bubbly and active. Remember, it’s a living culture which must be cared for with intent. Otherwise, your bread won’t rise. Think of it like a pet that needs to be fed daily, or a house plant that needs water and a sunny window. At its core, sourdough is about understanding and committing to an ongoing relationship. As with all relationships however, there lies a bit of uncertainty. That’s why I’ve put together this article for you. Most of the information is already covered in my book Artisan Sourdough Made Simple, but I’ve included additional information to answer any questions you might have, and to open up the topic for discussion. 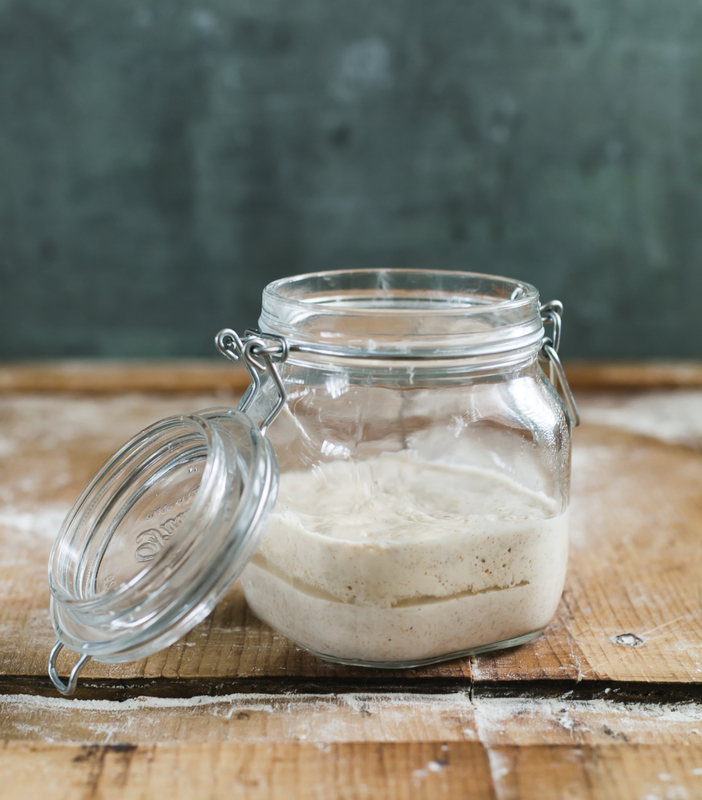 Because let’s face it: troubleshooting your sourdough starter could go on for ages! 1.) To streamline the process, this post assumes you have a working knowledge of a 100% hydration starter, made from equal parts regular wheat flour and water by weight. This is the most common type of sourdough starter. If you don’t have a starter, you can purchase one here. 2.) This post is also very comprehensive. To avoid loosing your mind as you digest the details, take your time and read through it a few times until the aha moment strikes! 1.) Why Won’t My Starter Rise? Because a sourdough starter is a living culture, like children of a certain age, they will share similarities. Each one will have their own unique personality and the “one size fits all approach” doesn’t always work. Some bakers use science to explain these personality differences and others simply observe, follow their intuition, and allow the starter to teach them. I implement both techniques. Keep in mind, when troubleshooting your sourdough starter, it’s usually a combination of factors. In my experience, the rise time is based on temperature, ingredients, feeding frequencies, type of flour & the quantity of flour used. Starters love warm environments. The warmer the spot the quicker it will rise. But realistically, finding a warm spot can be challenging especially when baking in the winter. The ideal temperature is somewhere between 75-85 F.
Try storing your starter in a cozy cabinet. It’s warm, draft free, and I have to say, my personal starter does really well in this snug little habitat. Experiment with a cabinet that’s near your stove for extra warmth. Another option is to wrap the starter jar in a heating pad. One of my kombucha readers (Hi, Melanie!) suggested this tip and it’s very clever. The heating pad maintains the starter at an approximate temperature which can be adjusted to your liking. A proofing box can also be used to control the temperature. This is the one I use, which is great for your dough too (it FOLDS FLAT!). If you don’t have a proofing box, place your starter in the oven (turned off) with the light on. But please make sure to keep an eye on it and turn the light off, if necessary. It can get very hot in there! Another makeshift proofing box option is to use your microwave; just place the starter inside (turned off) with the light on. Note: regarding temperature, if your starter is exceptionally strong and vibrant, it will have no problem rising in warm OR cold environments, even in the fridge. My starter is a workhorse and will rise ANYWHERE. This is because it’s mature, well fed and cared for starter. Keep this in mind as you continue to develop a relationship with your personal starter. A sourdough starter is made from flour and water. For best results, always use quality ingredients. For the flour, please use something that is unbleached, unbromated, and does not contain chemicals. Most non-organic U.S. flours, including my preferred brand King Arthur Flour, are enriched with vitamins and minerals including iron, folic acid and other vitamins. This is okay to use. I also like Trader Joe’s all-purpose flour for feedings. However, it’s important to note that not all flours perform the same. Flour from the UK is going to have different enzyme and mineral levels than flour from the U.S., Japan, Australian etc. Even organic flours perform differently. That’s why when troubleshooting your starter, it’s best not switch back and forth between brands at first. It’s too confusing and you won’t know where you went wrong. Stick to one brand, try to rule out additional factors that might be giving you trouble, and then make changes from there. For the water, try using filtered or bottled water to avoid any trace chemicals or chlorine if you think it’s having a negative effect on the rise. I don’t have to do this at home, my tap is fine. Ever have those days where you’re just ravenous? Starters can be ravenous too. If at one point your starter was all bubbly and happy, and now it’s not rising anymore, it’s possible that it needs a few extra feedings to boost the yeast development. So, assuming you’ve digested points A & B above try feeding your starter 2x per day and see what happens. Also, if your starter has been stored in the fridge for a while, it’s going to need several feedings at room temperature to become bubbly. Have patience! 2.) What Type Of Flour Can I Feed It With? Feed your starter with the same flour from which it’s made. Now, let me just clarify: every baker has their own way of feeding their starter. And one method is not necessarily better than the next (just different). 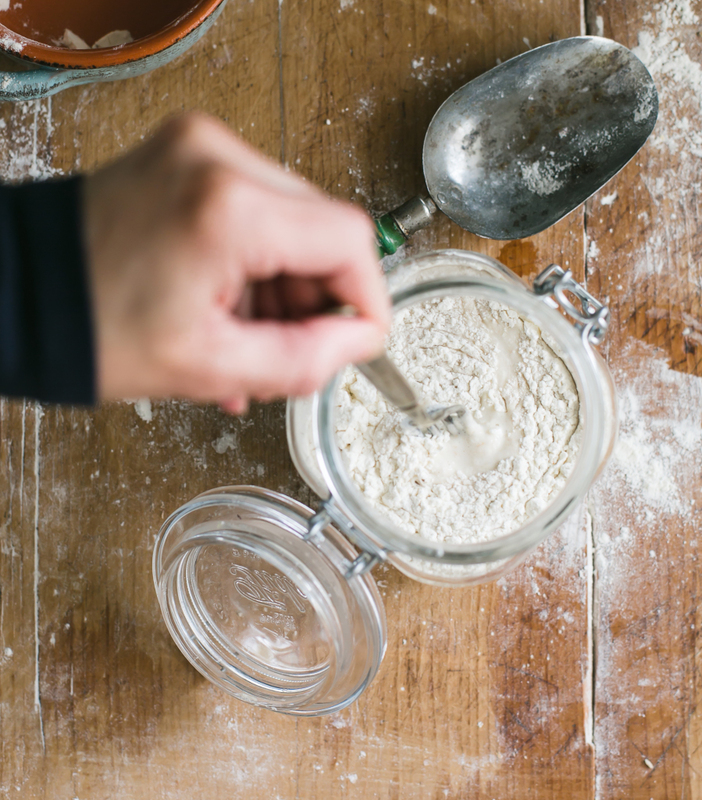 To cut through the noise with reliable results, feed your starter with the same flour that’s in the jar. For example, if your starter is made with all purpose flour, feed it with all purpose flour. If it’s made with rye flour, feed it with rye flour. Easy peasy. By doing so, you’ll establish a consistent feeding routine and the rise time will become more predictable. Think about it this way: how would your dog feel if you fed him a different type of dry food each week? Starters are no different! 3.) How Much Flour and Water Does My Starter Need? Feed your starter following a 1:1:1 ratio by weight. Again, every baker has a different method, but following a 1:1:1 ratio by weight will get you reliable results. Your starter will rise more predictably, and if you’re lucky, it will stay at its peak height for quite a while before it collapses. For example, if you have 30 g of starter in the jar, feed it with 30g of flour + 30g of water. If you have 60g of starter, feed it with 60g of flour + 60g of water. Please use a kitchen scale for this! You can easily scale the initial starter quantity up or down, depending on how much you want to maintain now or in the future. Note: to determine the weight of your starter you’ll need to know the weight of the jar first. To do so, weigh the empty jar and note the amount somewhere, either on paper or a piece of masking tape affixed to the bottom of the jar. Then weigh the jar with the starter inside and subtract the original jar weight. Got that? 4.) I Created a Starter Following the Instructions in Your Book… It Used to Be Bubbly, But Now Nothing’s Happening? Did I do Something Wrong? Should I Start Over? Believe it or not, this is 100% normal. Typically, when creating a starter from scratch, you’ll see bubbles on the surface around Day #3. When you start feeding it with flour and water on Day #4 and beyond, the bubbles may or may not appear as quickly. It makes sense to think that something’s wrong! But don’t panic. In order to cultivate and develop the yeast within your starter, you need to feed it for several days in order to see results. The process can be unpredictable, and each person you talk to will have a different experience based on their personal situation and environment. It’s easy to get caught up and compare, doubt yourself, and think it’s not working. So, should you start the whole process over? No! Continue to follow the instructions in the book, but make sure to read this post a few times, including Sections 1-3 to familiarize yourself with possible troubleshooting factors. If you’re still stumped, please be patient and continue to feed your starter until it bubbles and doubles in size. Eventually, you will see results. It just takes time. 5.) What Type of Container of Jar Should I use for My Sourdough Starter? I wrote a whole post on this. Click here. 6.) Does the Starter Jar Need To Be Airtight? The jar or container can be airtight or covered loosely; it’s your choice. If it’s airtight, just make sure the jar is large enough to accommodate the starter’s growth as it begins to rise (at least double in size). Otherwise it will burst through the jar. If you choose a loose cover such as a cloth or something else that’s breathable, and a skin forms on the surface, that means too much air is getting into your starter. It’s not the end of the world if you see this; just peel it off and/ or choose an airtight lid instead. 7.) What Is That Dark, Smelly Liquid On My Starter? It’s called hooch which is an indication that your starter needs to be fed. Don’t worry, it’s not dead. Just exhausted. This liquid is something you’ll see regularly, either on the surface of your starter or even within the culture itself (as pictured above), so get used to it! Because the liquid is unsightly and smells like gym socks, I pour it off with some of the discolored starter underneath and feed it right away. That’s all you have to do. PS: hooch is not mold. 8.) What Should My Starter Smell Like? First all all, your starter shouldn’t smell too vinegary, like gym socks, or nail polish remover. If it does, it just needs to be fed. Don’t freak out over this too much. At some point your starter will smell like this. On the other hand, when your starter is in good shape it should smell fresh, fruity and yeasty. So, what does that even mean? Fresh, fruity, and yeasty aromas will vary from starter to starter. Some will smell like toasted coconuts and pineapple, others will smell like apple cinnamon. It’s actually very interesting to note all of the differences. Don’t worry if yours just smells tangy and not very “exotic.” Totally normal. The aroma all depends on what’s in the jar and how it’s cared for. 9. )What Happens If There’s Mold Growing On My Starter? If you see mold, get rid of it! In all my years of baking, I’ve never had a problem with mold. That doesn’t mean it can’t happen to you. In fact, several of you have emailed me regarding mold (oddly enough you’re all from eastern Australia. Weather issues?). Mold can occur on the surface of the starter or on the jar itself. Its appearance can range from white and fluffy, to dark greenish brown, and even pink. Here’s what I know about mold: mold spores are everywhere. And it takes a perfect storm of variables (food, temperature, and water) to populate its growth. So, think about your current environment: is your starter jar near a fruit bowl (food source)? Is your current climate on the humid side (mold loves this kind of weather)? Are you using tap water (where trace chemicals and chlorine can be found)? Because we all live in different environments it’s hard to pinpoint the exact cause. But if you can troubleshoot any of the above, it might lead you in the right direction. Consider moving your starter to a different room if you think location is part of the issue. Paired with the variables above, mold can also occur if your starter hasn’t been fed often enough. Consider feeding it more frequently. This will keep the naturally occurring bacteria fresh and happy. And finally: Sometimes mold can occur when something else lands in the jar. Last summer, a fly got stuck in my starter and the whole thing turned pink (not the fly, the starter). I’m not sure if the pinkish color was true mold or just a result of the unfortunate casualty. Either way, it’s something to pay attention to. 10.) How Do I Get Rid Of Fruit Flies?! When summer rolls around, get used to seeing fruit files because they LOVE sourdough starters. Love. Love. Love. It’s hard to prevent a fleet of flies swarming the jar but there’s a few things you can do. First, make sure your starter is not near any fruit (for obvious reasons). Second, just relocate it. Sometimes, I keep mine in my bedroom and completely out of the kitchen where the main food sources reside- my husband thinks this is totally weird. Third, keep the lid on. This will not keep out the flies completely but it will help especially after you’ve moved the jar out of the kitchen. If you have additional ideas on this one, I’m all ears! 11.) Can My Starter Be Used With Gluten Free Flours To Make GF Bread? 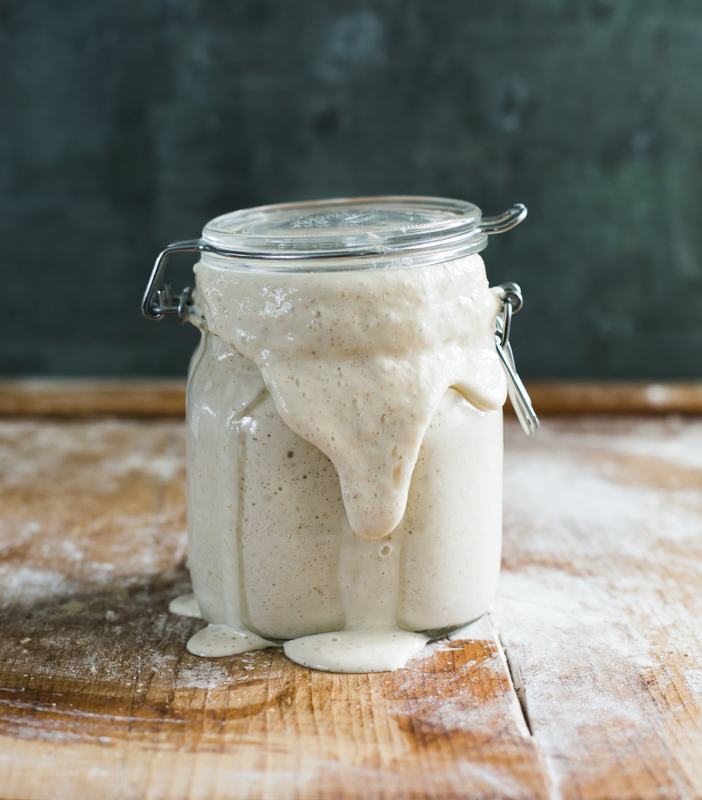 Most sourdough starters are made from wheat flour and water, so therefore it contains gluten. If you want to bake gluten free sourdough you’ll need a gluten free starter. Remember that. I get many emails asking if my starter can be used to create gluten free sourdough, and it’s just not the real deal. 12.) If I Forget To Feed My Starter, Is It Going To Die? No matter what I tell you here, the first time your starter gives you trouble, or it’s taking forever to rise, or whatever, you’re going to think it’s dead. I guarantee it. The Internet has scared people into thinking if your starter doesn’t rise instantly with a trillion bubbles on the surface, it’s completely broken and will never be usable again. EVER. Please have a little faith. I have a starter that’s been siting in my fridge for over 1 year, unfed. I forgot it was even in there. After transferring it to a new jar, feeding it for several days in a warm spot, and just being patient, guess what?! It was still ALIVE!!! That’s all you have to do if you suspect your starter needs a little love. Starters are resilient creatures which require practice and patience. This is THE hardest tip to follow. But it’s undoubtedly the most important. Who has patience these days when we have access to whatever we want on demand? Sourdough will teach you all about patience whether you like it or not. You can’t rush it. There are no shortcuts. No cheat sheets. Again, like parenting, eventually your 2-year-old will sleep through the night. So, please read through these tips slowly and carefully and see what troubleshooting factors apply to your personal situation. Some days you’ll have a beautiful bubbly starter and other days it will act like a diva. And just remember: it’s usually a combination of factors that contribute to sourdough starter issues. Your starter behaves this way not to make your life miserable; it just wants you to pay attention. Take your time, feed it a million times if you have to, move it to a warmer spot, and just honor the relationship. It’s the only way you’ll learn. My intent with this post was to include enough information to satiate your questions, without making you feel exhausted. Hi I’ve been trying to get a rye starter going all winter but they were all very weak until this week when we got some warmer temps (my house is usually 19 degrees Celsius) and I followed your book’s directions and for the first time ever the starter rose above the rim of the jar. (It floated in water too!) So it then collapsed and I started feeding it but besides some bubbles, it hasn’t risen again. Is that normal? Is it only supposed to rise that first time or after every feeding too? Hi there! I’ve just re-posted your comment from a different post on my blog. I think you’ll find the tips in this space more relevant to your question :). Your starter should bubble and rise after every feeding (it’s not supposed to rise only that first time). Have a look at the troubleshooting options above and see what applies to your personal situation. It could be a combination of temperature, ingredients, type & quantity of flour, feeding frequencies etc. You’ll get there! This is exactly what happens to me, seemingly every time (I suppose I should stop restarting and give it a chance!) I mix my flour and water, leave it 24 hours, then give it a bit more food and it always comes alive on day 2 or 3, at least doubling in volume over the next 12 hours or so. 18-20c temperature here (uk). Obviously it’s very exciting at this stage, but it never happens again! I use roughly a 1:1:1 replenishment, but, alas, to no joy! I seem to have a lazy starter. The top gets covered with bubbles but it’s never bubbled frothily like yours though I’ve noticed a slight difference since reading your book and feeding it with plain flour instead of strong flour. However, the bread it makes rises well (usually) and tastes good so maybe it just conserves its energy for the oven, which is fine by me. Just goes to show that every starter is different. Am now going to reread your post and see if I can’t get it a little frothier though. Emilie to take care of fruit flies mix up some vinegar and dish soap cover with plastic wrap rubber band it to a jar and poke holes in the top with the tip of a pencil. The fruit flies will fly inside in and become trapped in there. Works every time I’ve never had an issue with the buggers after using this. You can google the exact fruit fly eliminator recipe to find exact measurements. I have a wholemeal based starter (100% hydration) that I use to produce wholemeal bread. I’d like to try some white loaves – can I use my existing starter or should I develop a new one based on strong white flour? Also; I need to get hold of a copy of your book having read some really great reviews. I can only see a paperback copy on the Amazon site – is a hardback copy available by any chance? Took time for the starter to be strong enough to build the bread. Gluten free starter has been a challenge to get sour enough, but it is young and I’m sure it will gain strength with time. Hi Janice! I agree. Having (and maintaining) patience is key advice which certainly can be frustrating for some, but absolutely essential to good sourdough. Sometimes starters do need time to develop. Hopefully with the tips here, you’ll have continued success. Sounds like you’re well on your way! Again, a wonderfully informative post. Brava, amica. When feeding the starter, do I need to always remove a portion of the starter in my jar? I just purchased your book and created my first starter. On day 3, it states to remove a portion of the starter and then feed it. Days 4,5,6 are to follow the Day 3 feeding process – does that mean to 1) remove a portion of the starter and 2) then add to it? Hi Amy! Yes, according to the instructions in my book, in general, it’s best to remove a portion of the starter before feeding it. If you don’t, the starter will grow to a monstrous size and eventually overflow (and be difficult to manage). You’re also doing this to maintain balanced acidity levels within the starter for flavor. 1.) On Days 4,5,6, remove a portion of the starter before feeding it. 2.) Then, once you have removed some of the starter add more flour and water to the jar. I am trying this for the first time. My starter finally doubled in size 8 days from day 0! yay. I’m gonna bake this weekend. I seem to have to discard about 3/4 of the starter each time I feed it for the weights to be right. Is this normal? Also, I’m not sure if you will get to answer this before I start baking, but if my starter has doubled in size and passes the float test and I then start making the dough with a portion of it, do I need to feed the rest of the starter before I store it in the fridge for a week? Thank you, your site and book are amazing (will order the book soon). Thank you so much for taking the time to write this…. I just passed on some of my Juno, granddaughter of Priscilla starter, and instructed the adoptees…. I said so much if what you’ve written, and it feels good that stuff I’ve worked out is shared….yes, the starter is a living entity. I confess I talk to her! I also put a rubber band on the jar to show the level after I’ve fed her, so I can see immediately how active she is. I’ve been working my way through your book, I just love it. Hi Meg! I love that our starters are related ;) Sourdough truly is a living entity and don’t worry, I talk to my starter too. When I was at the tail end of writing my book, I honestly thought I was going to take my starter out to the bar for celebratory drinks! We are in such a committed relationship, lol. Glad to hear that you are enjoying the book. I certainly enjoyed writing it. 1. Find a warm spot for the starter – my starter (1:1:1) was being fed 2 times per day (8am & 8pm) for 2 weeks but did not show a healthy rise and fall when stored at room temperature (70 degrees). Putting it in the oven with the light on raises the temp to the high 70’s / low 80’s and made it grow bubbly and rise and fall as your photos show. Word of caution – put a post it note over the oven’s on – off switch to remind everyone not to turn the oven on. I learned that one the hard way – it cost 2 cambro tubs, plus bread dough plus levain. 2. Using a weck jar with straight sides and a close fitting glass lid for the starter makes it easy to clean and feed. 3. I feed the starter with King Arthur AP flour and bottled water. 4. When I don’t expect to bake for a few days I feed it at the same time in the morning, then let is rise for 3 hours then put it in the fridge. The day before I want to bake, I take it out of the fridge around noon, feed it again that night and then 12 hours later use some of the discard to make levain for the recipe. Thank you for all that you do. I realize that taste is personal, but anything that you can to share about how to turn up the volume on the “sour” taste is greatly appreciated! Hi John! You are quite welcome :) Thank you for posting this information regarding your sourdough starter. I like the tip about leaving a post it note on the oven- makes 100% sense. 1.) Dough temperature makes a difference. Do the bulk rise at 80- 82 F (try the oven light trick for this), followed by an overnight second rise overnight in the fridge. I get great flavor results using this technique although sometimes the dough can be over proofed in the morning. 2.) Follow tip #1, but swap out 20 g of bread flour for whole wheat flour. The enzymes and minerals in the whole grains adds to the flavor profile. 3.) Don’t refresh your starter as often. The more you feed your starter (frequency, not amount) the more balanced the acidity levels will be. And you can tell by the aroma in the jar. If it smells fresh and fruity, the acidity levels are more balanced; if it’s strong and vinegary it will add a different flavor profile to the bread. Now, with that said, to achieve a more “sour” bread you typically have to utilize a combination of these factors. Play around with the Everyday Sourdough using the techniques above and see what happens before moving onto another recipe. It takes a bit of practice but eventually you’ll achieve the results you’re after. Good luck! Fruit flies, as soon as you see them take a small mason jar put Apple cider vinegar, a little water and 3 or 4 drops of dish soap. Set it near where you see them, the vinegar attracts them, the soap makes them unable to fly out. Great article, answered alot of questions I have had about starters. Hi Sue! I love this tip, thank you! I’ve never heard of it before but I will certainly remember it this summer when the flies take up residence in my kitchen! Excellent. First time of making sour dough. Although my starter was lovely and I’ve been feeding it for 7 days now, my bread is too dense and heavy. There doesn’t seem to be air enough in it. Should I have left it to rise a lot longer. Left it for 5 hours and it doubled in size. My receipe didn’t say to knock out the air and let it rise again – should I have? Advice much appreciated. Flavour of the bread is beautiful. Hi Tania! It’s hard to say without seeing a picture of your loaf, and reviewing the exact method you’re following. However, in my experience, dense and heavy bread is usually a result of a dough that didn’t rise long enough, rough handling, and/or incorrect measurements. Regarding knocking out the air and letting it rise again, I typically always do a second rise for my sourdough loaves. As a rule of thumb, if your dough looks dense before baking, it will be dense when it comes out of the oven. I purchased your book and absolutely love it and am anxious to begin making some sourdough breads. I am on about day 11 of my starter. It definitely doubles in size when I feed it and has loads of bubbles throughout, but it is not as frothy as the starter in your pictures and will not float when I put a drop in a glass of water as you suggested in your book. Is it just that it needs more time to culture or is there something else I should be doing to develop it more? Hi Laura! It sounds like the yeast within your starter is definitely developing, which is a good thing. However, you might be performing the float test after it has collapsed slightly (although it looks double in size). For best results, do the float test when your starter is at its peak height, or in other words, before it collapses. This can be tricky to judge sometimes, especially if you’re not at home. I would recommend putting a rubber band around the base of the jar to mark its growth as it begins to rise. This way, you’ll have some indication of the growth rate. You’ll also see when it collapses, as the starter leaves streaks down the side of the jar when it decreases in size. Regarding the frothiness, you starter will look different on different days. It won’t always look like mine, which is normal. It won’t look like anyone else’s starter either. Starters are unique to you and your environment, regardless of the recipe you’re following. I wouldn’t worry about this too much. As mentioned above, try the rubber band trick and see if that helps you. Good luck! It’s so great to finish reading a post like this and actually understand what has been said! Love your writing style! Thanks for the trouble shooting guide. I have been trying to get my starter going since January with no luck. I think my kitchen is too cold in winter. Tried using the oven with the light off and on, but still no luck. Will try the heating pad idea next. I like your book and the recipes look yummy. Hope to try a recipe soon. Thank you Kent. It’s very possible that the colder temperature is slowing down the rise of your starter, but the oven trick should work. If the heating pad doesn’t work, you might want to spoon out just a tablespoon of the starter (transfer it to a new jar), give it a really big feed, and go from from there. The bacteria within the culture might need to be heavily refreshed. Emilie- I just got in “Artisan Sourdough Made Easy”. It is terrific and will help a lot of people bake some “really good bread”. I am especially appreciative of your treatment of starters which have been made to seem so mysterious yet are the basis for yeast raised bread from ancient times. There is always something new to try and after many years I switched my starter formula to 100% hydration. This worked very well but the hooch seemed to be after me ! For the past year I have used 50% water, 25% White Wheat flour and 25% Whole Wheat flour. The colony seems more active and more stable although less inclined to sour, as opposed to providing a reliable levain. Is there something in the Whole Wheat ph (or some other factor) that is keeping the little yeasties under control? When I try the starter drop into water it sinks. I had made a loaf after 5 days and it looked fBulous and the dropped during baking. Hi Christine, if your starter doesn’t pass the float test, I wouldn’t use it for baking. It might not be strong enough which is why your loaf might have dropped during baking. For best results, keep feeding it until it has doubled in size, and then try the test again. Hi Mike, weather (especially humid climates) will have an effect on your dough. I think I mentioned this somewhere else in the comments, but bakers who are not in temperature controlled environments have to adjust their flour to water rations regularly based on their personal conditions. So, in your case, if the dough is too wet and tricky to handle you can either add more flour until it ‘feels’ right, or simply cut back on the water, 20 g at a time, to achieve your desired consistency. Does the elevation and/or air moisture difference between locations play a part in the hydration percent that should be used? (think: New York vs. Arizona). I find that a 100% hydration starter is waaaaay too runny and soupy and can’t even rise properly, but a 50% has a more predictable rise and fall. Absolutely. I used to live in AZ ironically, and the dry weather definitely plays a role in the rise of your sourdough starter and the rise of the dough itself (and your skin!). If you find that adding more flour works for your environment, then go for it. Bakers have to adjust their flour to water ratios all the time based on climate and personal conditions. You’ve covered everything! Amazing account and list of how to sort the starter and keep it alive. It is like a pet, as you say. I do like sourdough bread and will pin this to my list. Thank you, Emilie. Just wanted to throw in there that I just removed sourdough starter from the back of my fridge a few weeks ago that was 2 YEARS OLD!! Yep, jar was dated and it was 2 years old. It was grayish on top with lots of Hooch. I scooped out a lot of the hooch and took a tablespoon of what was underneath. I fed it and within 3 days it was growing and bubbling and has been just fine! So, believe me when she says you can’t kill it..unless its moldy or slimy it is alive!! Hi Gayle, isn’t it amazing how resilient starters can be? There’s a lot of misleading info out there which convinces us that it’s hard to keep our starter alive. Usually, it just needs good quality flour, water and some TLC! Hello Emilie, Thank you for all the great tips! I make kombucha and the fruit flies love it as well. A good way to divert them is to place apiece of banana peel in a small jar (1/4 cup canning jar works great) and put a piece of foil with small holes in it on top near your starter. They will fly into the jar but cannot seem to get out. Empty the jar outside otherwise you get a swarm of flies back into the area! Hi Sharon. I’m a little late to this post, but I make kombucha as well. put a small amount of kombucha in a cup with a few drops of dish liquid. Great ! you covered good points and tips. I started my first attempt 4 days back and still mix has not risen, it has few bubbles though. I read two ways of maintaining and feeding started, one with reducing the quantity to half and adding same amount(flour,water) and other where we just keep feeding every 24 hrs without removing the content. I started by doing the second process and didnt remove the starter until yesterday after didnt see it double up or rise, but what impact both procedures have on overall starter process ? also how can i use the throw away batter ? dont just want to discard in sink . Hi Rubal, I prefer the first method you’ve listed above. Feeding your starter at a 1:1:1 ratio yields a healthy starter and controls the overall amount in the jar (if you don’t discard any, it will eventually grow into a monster). Regarding any leftover starter, when in good condition, it can be used for a variety of recipes including waffles, pancakes, popovers and more. You can find detailed recipes and instructions in my book, Artisan Sourdough Made Simple. Hi Sharon, it sounds like the yeast within your starter us definitely developing- so hang in there! If it’s very bubbly, mousse-like, and has doubled in size, it’s possible that you’re doing the float test after the starter has begun to collapse. If you place a rubber band around the base of the jar to mark exactly when it doubles, then do the test when it peaks. This should help a bit. Love your website and instructions on sourdough. Thanks for sharing! I am a complete newbie to sourdough, so I will try to remember to be patient with both myself and the starter. BTW… I just finished reading “Sourdough,” Robin Sloan’s new novel. One of the main characters is an ancient sourdough starter, complete with all the quirks you mention and then some. I think you would enjoy it! I started my starter using Tartine’s method almost a week ago. The first several days it was incredibly active, and now nothing is happening, even right after I feed it. No rise, very few bubbles, etc. My question is should I stick to one a day feedings as I was doing before, or should I feed it every 12 hours to give the yeast more to work with?? Everything I read seems so contradictory that I’m not sure what to do. Hi Courtney, I’m unfamiliar with the Tartine method off the top of my head… and I know how frustrating it can be with all the information out there! However, based on my experience, I would recommend feeding your starter at a 1:1:1 ratio (equal parts starter, flour, and water by weight) 1x a day for a few days in a warm spot (try the oven light trick). This should help perk it up. After a few days of doing this, if you think it needs an additional feeding, go ahead and do so. But I think the feeding ratio + warmth will help you! Hi, just found your blog nd it’s fabulous! I’ve been making sourdough for years, and love it, and you’ve got an amazing resource here! I have always fed my starter with strictly the same flour and have just inadvertently fed my starter self-raising flour (a miscommunication in decanting it into the right container). Is this fatal for the starter? I’m devastated! Welcome Anna! Thank you so much :) Regarding your starter, this has happened to me before with cake flour. My starter didn’t die, but it came incredibly sluggish and it took forever to fix the problem. I also run into challenges when I switch flour brands (I guess my starter can be somewhat of a diva). For your situation, I don’t think it will die on you; I’d dump most of it out and transfer what’s left into a new clean jar. Then give it a big feed for several days in a warm spot. Be patient, it might take up to a week to become active again. But it should help! Thanks so much for your response Emilie, I’ll give your suggestion a try. I’ve just ordered your book and now can’t wait for it to arrive! You got it, Anna! Enjoy! And thanks for the support! I absolutely love your cookbook and when I found out you were coming out with a sourdough book I just had to get it!! I started my starter a little under two weeks ago and I’m not sure if it’s ready to be used. It displays all of the characteristics you talk about (has large and small bubbles, smells good, right texture) but it will not double in size. I put a rubberband around the jar like you suggested and it does rise above it but it is nowhere near double. I have followed the suggestions in your post above (feed it KA flour, use filtered water, keep it in the oven with the light on) so I’m not sure if there is anything else I can do. I even tried the water float test and it did pass so my question is: is it ready to use or should I keep waiting until it doubles? Regarding your starter, although it’s displaying some of the signs, it sounds like it’s just not ready yet. And this is ok by the way, and totally normal- everyone will have a different experience with their starter in the initial stages. For best results, you should definitely wait until it doubles; are you following the 1:1:1 feeding ratio by weight? This helps tremendously. If you’re already doing following this feeding ratio, and are still having trouble, then my next suggestion would be to discard all of your starter but 2 tbsp (it doesn’t have to be exact). Feed it with about 1/3 cup of flour and 1/3 cup of water (again, it doesn’t have to be exact here) and place it in a warm spot of your choice. Sometimes a starter will just need a very large feeding to give it a boost. And then… if all else fails, I do offer my personal starter in small batches. Please visit my Shop for more details. 1)The jar I originally had my starter in had a very large base so it was difficult to track any kind of change. I decided to move my starter to a pint glass (one you drink beer out of) and it made it so much easier to see when it doubled. 2) I realized that although I was discarding half the starter and feeding it with 60g of water and 60g of flour each day, I still had way to much starter for the amount I was feeding it. Even with discarding half I was still left with over 100g of starter. Once I read your reply I started discarding everything except 60g of starter and feeding it the way I had. I saw an instant change the next day so I think that is what really helped it! I’m very happy with my starter now and have moved on to the actual bread making. Do you think you’ll write a Troubleshooting article for that? I’m having trouble getting the proofing right and I think that’s what has caused my loaves to come out so dense. Hi Genesis, thanks for your feedback! Using the right jar for your starter is certainly very helpful. Like you, I’ve found that using taller jars makes it alot easier to track the starter’s growth as it begins to rise. As for feeding your starter, the 1:1:1 ratio is key. You can easily adjust the initial amounts too, to suit your needs (i.e. using 40g: 40g: 40g instead of 60 g for each.) Glad to hear that it’s working for you! My question more relates to the texture of the bread once it has baked. When I made my first loaf I noticed the bread came out very dense. While I am new to sourdough I am not new to baking bread in general so I’ve been trying to figure out where I went wrong. I may have overproofed the dough but I also noticed the dough was very sticky both after the first rest and after the bulk rise. Should I start adding more flour whenever I notice it is sticking? What a great post! I’m new with sourdough / levain bread-making. I have a “dry” sourdough (water-flour ratio 1:2). When I am making bread I feed the starter, use the necessary amount once it has reached its peak. The dough rises well (using a mix of all-purpose flour and wholemeal flour), but once it has baked the bread is compact and heavy. Is there any tip for getting a fluffier dough? Hi Evelyne, thank for your comment! Regarding the texture of your bread, I think you will find this article more helpful. So much good information tks. One critical piece of information that seems to be missed everywhere including your posts which I am now assuming but would love factual clarification on is – “what stage is the starter in when ready to make bread”? a. Its at its highest point of rise? b. Just risen and now sinking? c. At its lowest point? No one ever states this answer about the state of starter when about to be used for baking clearly. Hi Greg, thanks for your comment! The questions you are referring to are addressed in my book Artisan Sourdough Made Simple. However, your starter is typically ready to use when it has doubled in size, has plenty of bubbles throughout the starter and on the surface, and passes the float test. When these conditions are met, you can use it as its highest point, or just when it starts to sink (as long as it passes the float test). Your starter will most likely not work at its lowest point, and “anytime” is questionable- it should meet the criteria mentioned above for best results. Hope this helps! Thanks so much. Just the perfect information. Its funny. Because its got a life of its own – its risen and returned to its low point before I am either around to bake or not noticed it. I’ll have to try and plan it all. Its why dry yeast is such a boon. I recently bought your Sourdough cookbook and love reading the beautiful book. This morning I baked everyday sourdough bread with success but I have one issue. The parchment paper is glued to the bread and is so difficult to peel off. Do you know what is wrong? If I do not want too crusty bread, is it ok to not bake the last 10 minutes in the oven (without the dutch oven? So, I just take out the bread out of oven? Thanks much for the wonderful cookbook. I learned this the hard way: not all parchment paper is created equal. It has to be 100% non-stick. And unfortunately, not all brands deliver on that promise. I had parchment stick to the bottom of my bread when I used the cheap stuff from the dollar store. NEVER AGAIN. What brand of parchment paper are you using? I recommend Reynolds, Costco (my personal fave) and King Arthur Flour. For non crusty bread, or less crusty I should say, just leave the loaf in the pot for the full duration of the bake. Your writing style is incredible. You kept my involved the whole post, and with a great knowledge as well. Thanks! Hi! Your book was a gift from my mother in law and it’s the best thing ever! Thank you for this post, it has soothed my panic. As summer calms down my house is more consistently cool, I think this is causing my problem. I love your work, keep it up! I have been using all P Flour for 7 days, my starter looks very soupy, why is it? every time I see videos y looks elastic like, why mine is not like that? would it work? Hi there! Are you weighing your ingredients? If it’s soupy, there might be too much water in the jar. Weighing all ingredients, including liquids, will give you the best results. Also: it could be your flour. Some brands don’t absorb as much as others. Just add a bit more next time during a feeding if you still think it looks soupy- it’s a very easy fix. Good luck! Also another fan both of sourdough and your book. We have just moved on from the basic sourdough bread to the Focaccia and I sit in amazement watching four people polish off the whole lot in one meal. I have a couple of questions. 1) How to keep the sourdough starter from developing the nail polish odour? After returning from holiday to find my usual starter somewhat weak and smelling strongly of nail polish, I started a fresh sourdough starter a couple of weeks ago which quickly got going and worked well. Now it too has started to smell more like nail polish and less „fluffy“ (if an odour can be described like that). What do you suggest? 2) How to get a better fluffy bread structure as in the picture of the dill and white cheddar bread on page 44? My breads rise well, but tend to have a finer pore. By the way, having spent a year during the 90s working in a German wholemeal organic bakery, one thing I always do is to throw a glass of water into the oven, after putting the bread in, usually onto an old baking tray at the bottom of the oven. The resulting blast of steam helps to create a great crust, but you have to let some of it out after about 15 minutes by opening the oven door and lowering the heat a little. I recently also made a wholemeal loaf only using freshly ground spelt – i.e. no other flour – and it worked well with a fantastic tasting crust. Ok: so let’s get to it.. 1.) You can only avoid the nail polish odor by feeding your starter everyday, either at room temperature or in the fridge. It’s as simple as the that. The longer it sits, unfed, the stronger the odor will be. 2.) Great! I’m glad to hear you found the answer. Fluffy bread with an open crumb is part recipe and technique (and of course, practice!). And PS: thanks for the water glass tip! Great guide. Covered everything to troubleshoot sourdough. You are quite welcome, thank you! I started my starter, and it had lovely frothy bubbles on day 4, 5, and 6. They all deflated, and not has almost no bubbles on day 10. It is just a goopy mess. Any suggestions? Hi Sarah! Yes! Keeping feeding it. Anytime you starter deflates, during the creation process and beyond, it has lost all of it’s rising power and it’s time to feed it again. The more often you feed your starter, the stronger and more bubbly it will be. Tried 3 different starter recipies, no luck, got your book and after 4 days I was amazed at how the starter rises. The question I have is when you say take out half of the starter out of the jar and feed with 60 grams of flour and 60 grams of water. Having weighed out the starter in the jar it was around 195 grams after day 4, half of that would be around 97 grams. Am I supposed to be following the 1:1:1 or is it OK to add more starter when I feed it. I am getting tired of having starters around and not having sourdough bread to eat. Hi Greg! That’s wonderful to hear, thank you! Regarding your question: technically, you should always follow the 1:1:1 ratio for best results. However, it’s ok to play around to see what works for you if you are confident your starter is strong. For example, my personal starter is so strong it doesn’t always need a 1:1:1 feed every time. Because I know how it performs, I kind of feed it intuitively. Hope that makes sense. Good luck! Started a new batch of starter, #6 after the last batch ended up like all of the rest, a thick glob with no bubbles and did not rise. After looking at different sourdough websites I found one that said a sourdough starter will thrive in temps at 70-80 F. With winter fast approaching the kitchen is not a very warm place in the house, tried the oven lights on but with 3 bulbs it goes over 100F. It did say a proofing box and a water bath. I have an immersion heater for an aquarium and an old baked black enamel roasting pan that the heater fits into. Started a new batch of starter, a 50 – 50 mix of King Arthur organic whole wheat and all purpose flour, put into a pint mason jar and into the water bath it went. Kept the water at 75F and fed it for the next 7 days. I was amazed at how well it worked. This past Saturday night I followed the recipe for Everyday Sourdough made with my fresh starter and left it to rise in the oven with a pot of warm water under it. Sunday morning I opened the oven, took off the damp towel and saw the bowl full of risen dough. Followed the rest of the recipe and was treated to a wonderful tasting load of sourdough bread. It was chewy, had a nice sour taste and smelled great. No more store bought bread for us. I do have a few questions, the crust was OK but could have been crispier and could this recipe be baked in a 9×5 bread pan. Love the cook book and all the information in it. I will be trying many recipes. Love the Carrot hat on your new son!!!!! I recently purchased 1 cup of 20 y/o starter. I put it in my fridge for 2 weeks then pulled it out for a few dats then started feeding it. I’ve geen feeding it for a week now but it doesn’t float in water (which is how I was s told I’d know it’d be ready for use) do I just continue to keeping feeding it and wait til it floats? Hi Trevor! Great question :) First, I would contact the seller to see if they have any special instructions for you. I don’t know this particular starter, what hydration % it is, etc. Second, if I were you, I would keep feeding it at room temperature, in a warm spot if possible, daily. You might need to increase your feedings to 2x per day until you see some bubbles, it doubles, and then passes the float test. Hope this helps! How long can we leave our starter at room temperature, while feeding daily? It’s been a week now, and I feel it still needs more feedings but I didn’t want it to go rancid because it sat on the countertop for too long. When do we put it in the fridge for further long-term development? Hi Virginia! You can leave your starter out at room temperature for as long as you wish. It won’t go rancid. It just needs to be fed everyday or every other day depending on your schedule and how often you plan to use it. I’ve left my starter out on the counter for over a week without feeding it simply because I forgot (and it’s totally fine). The appearance of hooch doesn’t mean it’s rancid either; it just means it needs to be fed again. You can put it in the fridge at anytime, if you prefer. Hope this answers your question! Hi! My starter is still in its teething stages. Some days I love it, others I want to hide it in the back of my fridge and give up!! My question; the starter is bubbly, rises and smells right but doesn’t usually doesn’t pass the floating test. Does it need more feeding or am I waiting too long before using it? Hi Aleida! Great question. It sounds like you are waiting too long before using it. Feed it at night before you go to bed, and then again in the morning (do this on a weekend when you know you are going to be home). Check on it every so often to see when it has doubled, do the float test, and take it from there. Good luck! Thank you! I really thought my starter died when my mum transferred it from a glass bowl to a stainless steel bowl. It did smell a bit like smelly socks and had settled with the solids at the bottom and “dirty” water on the top. I poured the liquid off and gave it a feed. Instantly the bubbles came back! Looking forward to baking with it for the first time. Hi Venka! Fantastic! I’m happy to hear you stuck with it and didn’t throw it out. It’s easy to think your starter is dead when it looks and smells like swamp water. Usually, it just needs a good feed (or two) before coming back to life. Enjoy! I have been following starter instructions very carefully, ingredients by scale, temp etc. I fed it once a day for ten days. Nothing seemed to happen. I moved to feeding twice a day for 5 more days. What i get is a great smelling result with air holes on surface but virtually zero rising by volume. Hi Cliff! Hmmm… The good news is that the yeast is cultivating (good smell, some air bubbles), but because it is not rising, it needs a boost for sure. My first recommendation would be to feed it 2x per day (which you already are doing) for at least 2 weeks. I know this sounds like a lot of time, but some starters just take longer than others to get going. Try storing it in a kitchen cabinet to keep it away from drafts, and other yeasty things, like fruit. If that doesn’t work, you flour might be old. I prefer King Arthur Flour. Hope this helps! Be patient! Sound advice, I made a nice sourdough from scratch 5 years ago, it was so easy after 5 days bubbling away doubling in size in 4 to 8 hours. Foolishly used all my sourdough to make pancakes and had to start over again. I thought no problem. Then unlike the first experience, after bubbling strong already on day 2, bubbled less on the third and will no longer bubble , no sourdoughwy smell , day 10 still the same. I use freshly milled four from Bob Redmill’s Kamut grains. Hi Luc! Although frustrating, what you are experiencing is not uncommon at all. The reader above this comment is experiencing the same thing- please read my response. Also: I would not feed it freshly milled flour to start. 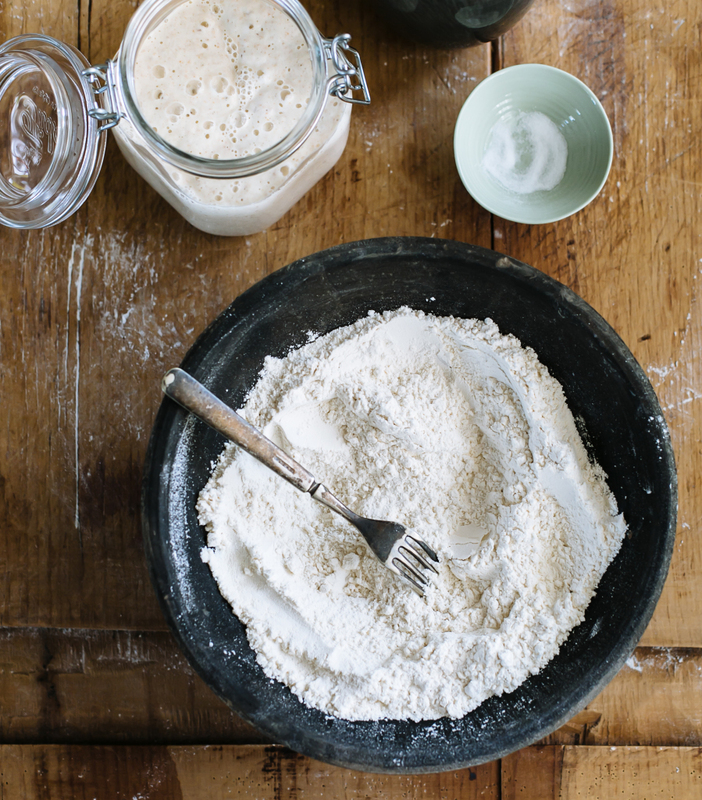 Stick with a good-quality all purpose flour when creating a starter from scratch. Once the yeasts have grown and developed, then switch to something else if you prefer. Freshly milled flour can be tricky to work because the enzyme levels are different than standard AP flour. I’m so glad I just read your blog. I will now run to the store to buy the non-organic version of flour to see if that’s my problem. Fingers crossed, you’ve helped me solve my mystery. First I wanted to say I love your book. Until your hook I was terrified of making a sour dough starter. My question is my sour dough starter looks more like a paste, it’s kinda thick even when bubbly.. where yours in the pictures looks more like a liquid.. do you think I’m not using enough water? Is it supposed to be thin and more liquid? I’m using an organic stoneground wheat flour, does that make a difference? Thank you so much for answering all of these questions, your answers have seriously been so helpful. Hi Jen! Thanks so much! From what you have described, it sounds like there’s not enough water in your starter. First thing’s first, make sure to weigh all of your ingredients. And yes: the stone ground flour will make a difference. It absorbs MORE water than AP flour, which is why your starter is too thick (make sense?). In the book, I recommend using the WW flour during the creation process but then to feed it with AP flour. Doing so will give it a more liquidy and stretchy appearance. Hope I’ve answered your question! You mentioned that folks from Eastern Australia tend to get mould. I’m an expat from the mountains of NC, currently living in Brisbane, Australia. I suspect the issue in western OZ has to do with the fact that it gets stinking hot in the summer, and the humidity is off the charts. In summer, I’m finding that I put my starter in the fridge through the week, and take it out a couple of days before I want to use it (with appropriate feedings). Otherwise, the heat of the day is just too much for the little critters to bear. I’ve also found that I need to transfer the little guy to a new home every couple of weeks. Otherwise, the lip of the container becomes a magnet for things gone wrong. Hi James, thanks for the tips! Makes total sense. The Aussie summer heat can be brutal (but I love it- I used to live in Coogee Beach!). – some of the recipes in the book result in a very runny dough (almost a too wet dough; for example the Cranberry Pumpkin sourdough and the one with Dates). I assume that it might have to do with the volume of the juice from one orange (or four tangerines). Do you have any suggestions about what amount of juice we should get from a fruit to have the right proportion of wet to dry ingredients? I also notice that once I score the dough (this is with most my breads – even the plain sourdough one) before baking the scored places start giving in – they start to stretch and open; also when I do one long and deep score on the side of the shaped dough once it gets out of the oven it does not produce that nice sharp ridge that I see in your books and posts; the bread rises but it has a rather flatter surface – you can still see the scoring well but there are no beautiful sharp ridges. If you have any thoughts on these two issues I would truly appreciate it. Thank you! I am just starting the sourdough journey, and have relaxed quite a bit after reading these posts, both the article and the comments. Have you heard of The Secret Life of Water? I started saying, “Bless you”, and “I’m grateful for you” to my starter, and it became more bubbly right away! I also have a cold home (just south of Canada) so am no longer concerned for my starter. I made pancakes for my family with the discarded portion, and they are a big hit!! I’m going to try your cinnamon roll recipe too! I just started my starter on 11/25. For the first few days it smelled wonderful and bubbled a lot. Then, I was busy and didn’t feed it for 28 hours (instead of 24) or so. After that, it smelled weird. On 11/28, I fed it in the evening. The next morning, it looked exactly the same. How do I know if it needs to be fed again, or if it didn’t rise at all? Should I just feed it this morning, or should I wait the full 24 hours? It still isn’t bubbly, though. What am I doing wrong? Or is this right, and I just need to wait? Yay! It turned out just fine after a few days. I made your Spinach Artichoke Braid, and it was amazing! My starter is also doing just fine! Thank you so much! I can’t wait to bake more! Hi Kaitlyn! Thanks so much for circling back! I’ve been on maternity leave since September, and I’m now navigating my way through all of these comments. I’m so happy you stuck with the process- patience is key when getting your starter to rise and bubble. It can be super frustrating, I know. But as you continue to bake, you’ll find that starters are incredibly resilient, and usually, all they need are a couple of good feedings to perk right up. Last night I took my sourdough out of the fridge to wake it up. I fed it. Then this morning it had doubled in size and looked amazing! It was perfect! But… I didn’t expect this to happen. I thought it would have taken another day or two to wake it up. I am not ready to use it until tomorrow night. So I put it back in the fridge to slow it down. Because now that I know my starter is healthy, I plan to take it out of the fridge tomorrow morning–feed it, then cross my fingers that when I get home from work it woke up and thrived again. Do you have any suggestions or do you think my plan is good? Hi there! To answer your question: yes, you did the right thing. In fact, you could have fed it and just left it out at room temperature if you were going to bake with it the following day. No problem. And going forward, feeding it in the morning and then using it at night should work (as long as your starter is fed often and is healthy!). Good luck! I live in Ecuador at high altitude—8700 feet, and chilly all the time. It is also difficult to get bread flour. I’ve tried to make the sourdough loaf twice and it didn’t work. On both loafs, during the second rise the loaf spread out flat and I ended up wit a dense flat loaf. Obvios question, would the altitude affect it? I was successful with soft dinner rolls but added a small amount of active yeast granulas, per directions. Disappointed in Cuenca. Hi Sandi! Absolutely! Altitude will always effect the outcome of baked goods, especially sourdough. I don’t have much experience baking in higher altitudes, but I do know you need to make additional adjustments (whether you’re following my bread recipes or others). I’m sorry I can’t be of more help! If you find a formula that works for you, please let us know and I’ll post it here. I’m sure you’re not the only one with high altitude baking questions! Thanks! To eliminate fruit flies, use 1/2 whole wheat flour. I have not read this anywhere, but have found it true through trial and error. I have a starter that’s doing everything perfectly except for making bread rise. I feed it daily, and it always doubles in size, gets very bubbly all the way through, and has a pleasant, sour smell, but it never floats even though I’ve been doing this for more than a week. Should I be feeding it more often, or do I just need to keep feeding and waiting? Hi Ellis! From what you have described, your starter sounds healthy. However, it should pass the float test before using (this could be why your bread is not rising). Try doing the float test when the starter has just about doubled in size. If you wait too long after that, it will starter to fall, although it still might be bubbly. Hope this helps! I was on a sourdough baking course and got some starter home with me. Kept it in the fridge a couple of days and then took it out and fed it. After approx 24 hours nothing had happened so I decanted it and fed it again. If it does nothing in the next 24 hours should I scrap it and start from scratch? It’s sitting on a heated tray so should be warm enough. Hi Berni! I wouldn’t throw it out. Sometimes it takes a few feedings to get your starter going. I’m not sure where you’re at in the process now, but I would continue feeding it, maybe two times a day, in a warm spot as suggested in my post. And please make sure you are using the right flour and water. Good luck! -in the past I have discarded only if i see it rise and are feeding it again. But now I’m just discarding no matter if I see a rise. I do have quite a bit starter now so I’m not sure if I should discard more or feed more than 60g. -and I keep it in the oven with light on which is the only was I have seen a rise but unsure if the temp gets to hot. Sorry if this is all jumbled. I’m just on day 7 and have tried so much don’t know what to do anymore. My starter has a pleasant smell and bubbles at times. Would like some expert insight. Thanks so much. Hi Elisha! In my experience, creating an all rye starter can be a bit tricky due to the naturally occurring enzymes. And because the directions in my book are for an all-purpose starter, the experience and overall length of time is going to be different for you (meaning, it might take more than 7 days to become active). That’s why I suggest using all-purpose flour; it’s more predictable when creating a starter from scratch the first time around. Anyway, in your case, I would just continue to feed it with rye flour. You might want to feed it twice a day a this point, and continue to keep it in a warm spot. If you think the oven is too hot, remove it. Or, stick a thermometer inside the starter and take the temperature. Now that the weather is warming up, you should be able to leave it on the counter. Hope this helps! Thank you for this. When I saw you mention the 1:1:1 ratio I knew instantly what the problem with my starter was. It was really alive and bubbly the first couple days, and then went flat. I had started with 4 oz and flour and water, and was feeding it that amount every day. I hadn’t realized you had to increase the feed as your starter increased in size. I heard from the Sourdough Podcast that you mail samples of your sourdough starters to new bakers! How could I go about getting one?? :) loved your episode! Hi Emilie, I’m following your sourdough recipe and using 50/50 wholemeal rye and wheat flour. On the first initial day of mixing 30g rye, 30g, wheat and 60g water within the first 24 hours the starter had quadrupled in size! I left it for another 24 hours, as your recipe states, and it had deflated and was very liquidy. Day 3 I removed 60g starter, discarding the rest, and mix in 30g rye, 30g wheat and 60g water, left for 24 hours with no visible activity and still it remained quite liquidy. Day 4 was a repeat of day 3. It’s now day 5, do I keep going or did my starter ‘burn out’ in the first initial day? Please help! Hi Samantha! Fantastic! Your starter did not burn out. It’s pretty much always bubbly in the very beginning, especially on Day 2, and then it deflates a bit. It needs more time to develop the yeast activity. Totally normal. I would keep on feeding your starter for at least a week until it’s bubbly and active. Ok. My starter now has the clear liquid 1/4” to 1/2” below the surface. This has been going on for weeks. It is no longer on the surface at the top. Is this a problem? Should I worry? Hi Karen! Not to worry at all. Totally normal. It happens to me too sometimes (if you read my Beginner Sourdough Starter Recipe, I’ve included a picture of what you described). Just pour off some of it if you can, feed your starter, and wait for it to become bubbly. OK, my bubbles on top but really doesn’t grow I feed it every day. I’ve tried making bread out of it in it’s on edible. It’s been cool here so I’ve been putting the heater in my bathroom and get get it warm in there still doesn’t improve, should I just keep feeding it, until summer very disappointed. Hi Cynthia! Getting your starter to bubble can be frustrating at times, I know! Hang in there. Keep feeding it, make sure your using quality flour and water, and consider feeding it twice a day. Hopefully you’ll see some results! Thank you so much for all your tips about starters. I feel like there are a plethora of websites that seem like they know what’s best but fail to talk about the reality of a starter and the many different hiccups along the way. I definitely was starting to think my starter was dead but will keep trying with some of these tips! Hi Kelsey! Thanks for your feedback. It’s true- there’s a lot of info out there and some of it can be very intimidating! It’s all about sticking with what works for you and changing what doesn’t. Hopefully you’ve found some useful information here. Happy baking! I started my first starter 11 days ago and it finally got through the stinky sock smell. It still isn’t rising but wandering if there is anything I can do with the bit I waste every day before I feed it. Thanks! Hi Hollie! Great question. I’ve included an entire chapter in my book for recipes to make with leftover sourdough starter. You can also try the sourdough waffle recipe here on this site. Just make sure that your leftover starter is in good condition (it doesn’t smell or look gross). Otherwise, whatever you use if for won’t taste the best! Do you think that high altitude would have an effect on the “liquidity” of a 100% hydration starter? I’ve been baking sourdough bread for a while and my 100% hydration starter works fine as to leavening the bread and giving it the sour taste but when I watch videos of bread making the starters look to have the consistency of pancake batter and mine is thicker. Hi Laura! Absolutely. Altitude always effects bread. However, if your starter is working for you, don’t change a thing. It doesn’t matter what everyone else’s starter looks like- there will always be some differences. Just do your thing! Hi Emeilie. So I’m on day 5 of my starter and am doing 2x a day feeding. I do notice bubbles and an ever so slight vinegary smell. But no rise. Well there is rise but i only got a good rise on the second day. Then nothing. Just bubbles. I guess this is ok? Thanks. Alex. Hi Alex! It sounds like the yeast is starting to develop, but it’s not quite active enough yet. I would keep on feeding it until you see more bubbles and a better and more consistent rise. Also, will it be an issue if I don’t use All Purpose flour? I just started buying various flours (spelt, bread, pastry, einkorn, etc.) from an organic, Whole Foods supplier, and plan to one day soon begin grinding my own flours and using them. Will these flours work instead of the AP? Oops, should say SD Baker, not SS. Hi Emilie. I’m a total newbie to sourdough. I just purchased your book from Amazon a few days ago. I plan to begin my starter this afternoon and I do understand the @ 1st week of getting it going good. What I’m confused about is how often I need to feed it once it’s established. I’ll be baking with it at least once a week so I plan to leave it out of the frig. Can you (or an experienced SS baker please clear this feeding question up for me? Thanks for a great book! I can’t wait to start baking! Hi Leigh Ann! Once your starter is established, feed it 1-2x/ day at room temperature or 1x/ week when refrigerated. In the beginning, I would use AP flour. You might get better results due to the enzymes (some organic flours don’t work as well). It’s also less expensive to use AP flour, especially when you are removing and discarding some the starter before feedings. With that said however, it doesn’t mean you cant experiment with what you have! And in fact, if you do, please comment here again- I’m sure other readers would like to know how it turned out for you. Good luck! hi! I just purchased your book and found it the best out of many different methods I have been using to try and get my starter off the ground! I will say that after 2 weeks of trying I finally got a starter, that had doubled in size and passed a float test! My house is colder here in the PNW and it is Winter. I found that the oven trick actually made it get a bit too hot and it just was always watery and bubbly. Anyways! It passed the test and I baked my first loaf and I must say I was pretty darn impressed with it! 1) now my sourdough starter isn’t passing the float test again two days later. Will it only pass the test when it is at its peak? So you need to time baking as such? For example, it was doubled last night, but this morning dropped again, so in order to bake I would need to re feed it and wait to use it when it was at its peak? 2) my starter is 100 percent whole wheat. It just seems to work better here in my environment. It seemed a lot more dense of a loaf with a more charred flavor if that makes sense….idk if it was because of that or not. but….I also think I need to master the proofing etc. So does the first 30 min-1 hour proof where it could be warm and then do I let it proof at room temp overnight or in the fridge? I have seen you comment different things so I wasn’t sure. Is there a test after the bulk rise that I can do t see if my dough is right? Thank you! It is such a craft that I never expected I would like so much! Thank you! Hi Sarah! Yay! I’m so happy you like the book! Congrats on baking your first successful loaf. It’s a satisfying (and tasty) craft, no? 1.) Yes: when your starter is at peak, that’s when you should do the float test (and it should pass). With regards to timing, in order to bake, you would ned to feed it again and wait for it to peak before using. This is standard. 2.) I’m not sure I understand your question here! What specific sourdough recipe are you referring to? Please let me know and I’ll clarify for you- thanks! Hi Joe! To clarify, the instructions you’re following… are you referring to the tips mentioned in the post above? Or instructions on how to create a starter from scratch? Just need to understand if you’re working with an established starter that won’t rise, or a brand new one that’s not quite developed. This will help me troubleshoot. Anyway, I have a question for you: is it possible your starter did in fact double, you just missed the timing? PS: I’ve never heard of a false positive float test. In all my years of baking this has never happened to me. The only way you’re going to know if you’re starter is ready, after passing the float test, is to just use it and see what happens. I would stick to a low-hydration beginner recipe (click here) for best results. Hi Cynthia! I can definitely relate to your situation. After creating a new one, you might have better luck as temperatures continue to drop in Sydney. You can always store it in the fridge as well- see if that helps a bit. So developmented my own starter thanks to your instructions from your book and this post. Mixed up my first batch of dough and went to replenish my starter but mixed it with the fork I used to make the dough with. Then I realized I introduced a very small amout of salt to my starter. Have you ever done this? Will my starter survive? Also how important is it to transfer the starter to a new jar once developed. I skipped that step because I did have another jar as big. Planning on getting another though soon :) Thanks so much!!! I started my sourdough starter. But on the 2nd day when i saw it, i saw some pink mould on it. I rwmoved it and continued to feed the starter. It was rising perfectly. It doubked in size on the 1st day itself. Is thia starter safe even though it got the pink mould. I live in india and near the sea so it is quite humid. What can i do to avoid the pink mould? Hi there! Sorry to hear about the mold. From what I understand, it’s very common in humid weather. Have your read section #9 in this post? There are a few troubleshooting tips that you might find helpful. Hi Emilie,i made my starter 5 days ago and it was going along nicely,it was bubbly and it grew,and I was feeding it twice a day ,but the last 2 days nothing is happening it still smell good , so not sure what is happening,i would appreciate your advice. Rosa. Hi Rosa! Sorry to hear you are having difficulties with your starter. From what you have described, it sounds like your starter is active. As long as you haven’t changed anything (type or brand of flour, water type, location etc), I would just continue to feed it per usual. New starters are unpredictable and need time and additional feedings to perk back up. They need to become strong. Don’t worry, just stick with it.